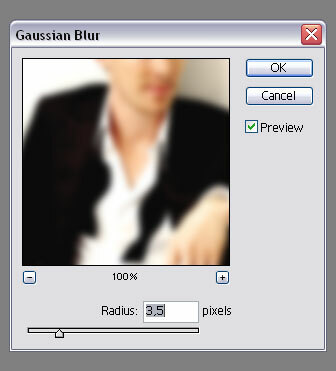 Then go to Filter>>>>>Blur>>>>>Gaussian Blur and use this filter on the duplicated layer. A setting between 3 and 4 should work nicely. For this I used a 3,5 as shown. You now have a blurry image. Set the blurred layer to layer mode soft light. This effect works basically out of the one above by keeping steps 1 and 2 the same. For Step 3 instead of setting the layer to soft light you have to reduce the layer opacity. Depending on the dreamy quality your image is supposed to have, you can play with the opacity setting a bit. In this case I reduced the opacity to 61% but I wouldn't go below 50% at max, otherwise the effect won't be visible anymore. Both effects can be combined in an image and/or combined as well with the use of textures. 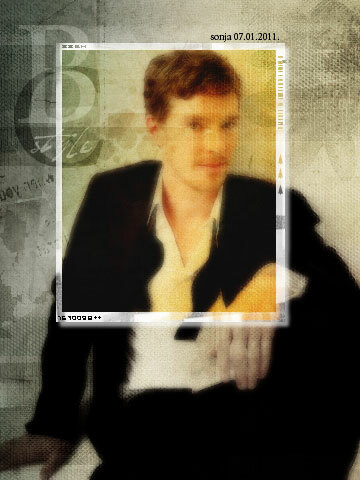 Used for this were textures/brushes from Hybrid Genesis, the original image of Benedict Cumberbatch is from HERE.